We all have aspirations and dreams for our lives. We have goals we wish to accomplish and we have good intentions when it comes to striving towards them. Many of us even create reward systems and strategic steps in order to guarantee success in meeting our goals. We speak boldly, even optimistically, when we share our aspirations with others. So why is it that we often fall short of the goals we set for ourselves? Why do we look at years past and wonder why we are at the same place with the same poor habits and no sign of progress? Simple. Although our intentions may be good, we tend to overcomplicate and blur the steps necessary to accomplish what we wish to achieve. When you begin to look at your goals with a minimalist’s perspective, you will see progress. Below are a few ways to incorporate a minimalist’s mindset into your goal setting strategies. This first step may seem a little contradictory to a minimalist’s strategy, but it helps get your thoughts flowing. With pen and paper in hand, write down any big dreams or goals you wish to achieve in your lifetime. These ideas can range from wanting a big family to being financially well off. It is important to take the time to fully grasp what you hope to get out of life, so you may hone in on what specific goals you need to accomplish to get to where you want to be. Minimalists are professionals at prioritizing their lives, especially when it comes to goal setting. After you have your big ideas and dreams written out, the next step is to prioritize them. 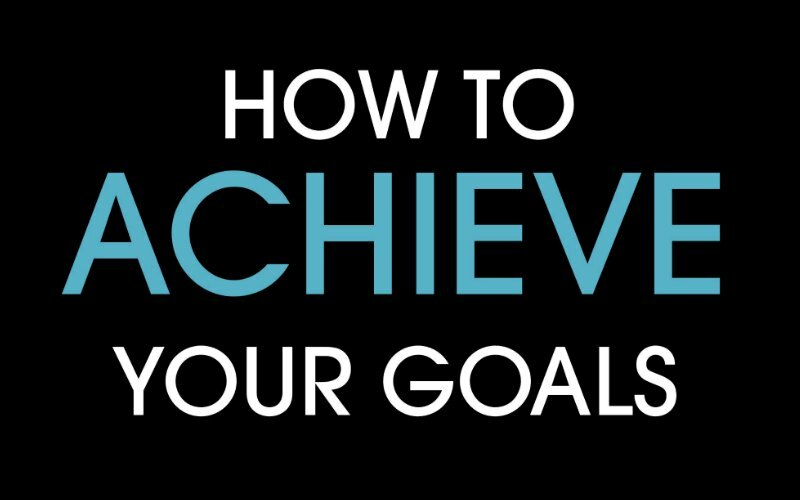 Create a list of your goals beginning with the one that is most important to you to achieve at this point in your life. It is necessary to realize that the goals found at the bottom of your list may still be important to you, but not as crucial for you to achieve right now comparatively. By creating a prioritized list, you are eliminating confusing clutter and allowing yourself to hone in on what you truly wish to accomplish. You are setting yourself up for success because you have a concrete end goal you wish to achieve, rather than big ideas and wishful thinking. Once your priorities are established, you can begin to use this information to select concrete steps to help you achieve the goal highest on your list. It is vital to navigate this step only after establishing what your priorities are. If you skip the prioritizing phase, you begin to create a plan for multiple goals rather than just the one most important to you. This often leads to trying to juggle multiple steps in an attempt to achieve more than one goal at the same time. This cannot only be confusing, but sometimes, the steps may even contradict one another. It is important to take the time necessary for you to establish well thought out steps for achieving your goal. Try to begin with the most basic accomplishment you can think of. Again, this is a strength many minimalists have. They understand the significance of creating a solid foundation that is easy to understand and can be built upon. Start simple and work from the ground up. As with the previous sections, it is important that you write your steps out so you can refer back to them later. Try not to get too wordy or put in extra “fluff” when it comes to describing the changes you wish to make in each stage. Keep your thoughts short, black and white, and concretely laid out so it will be easy to see if you have accomplished a particular step or not. Equally as important as writing out your main goal and the steps you need to make in order to accomplish it, is removing any of the clutter that does not aid in your success. The clutter you need to remove from your life may include an excess of social events and obligations, items, ideas, or people that may actually prove to be barriers in achieving your goal, or even other positive changes you wish to make in your life. Although all of these items in themselves may not be negative influencers in general, if they are going to keep you from achieving a goal that is vitally important to you, you should remove them as not to be distracted during your process. Do not view removing the clutter as a negative, but rather an opportunity for you to begin simply and without any distraction that may potentially draw you off course from meeting your goal. Many people make the mistake of setting up rewards for achieving particular steps toward reaching their goal. Although the idea may seem innocent enough, it is not only unnecessary, but also may lead you astray. Minimalists see the value in the one lifestyle change they have selected. They understand the lifestyle gains and rewards they have to look forward to by achieving their goal. They embrace the simple idea that for every step accomplished, they are one step closer to attaining their desired results. They see the value in striving and require no other means of reward along the way. This is one of the many strengths of setting goals as a minimalist. The danger of setting up rewards for steps achieved is you may become content with the reward itself rather than the end goal. You create unnecessary clutter in your progress after you just removed clutter from the equation. Put simply, meeting your goal is your reward. Keep the steps simple, uncluttered, and easy to follow. Once you achieve your goal, you may find that something interesting takes place. You may discover that meeting your goal creates positive outcomes in other aspects of your life as well. Although you have carefully selected a specific goal to focus on and concrete steps to follow, ultimately, you do not live life in a vacuum. This is the beautiful result of creating goals. 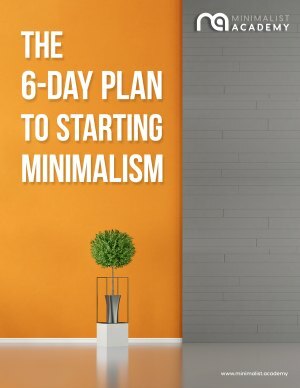 You get to take a minimalist, clearly defined, and simple approach to creating and meeting your goal, and as a result many aspects of your life may get better. You put in hard work in one area and you see a transformation in others. Keep this in mind if you find yourself struggling to pick one goal over another. Achieving your goals using a minimalist’s approach makes your path easy to follow and simple to navigate. Allow yourself to set priorities, establish concrete steps, remove the clutter, and strive towards the goal you wish to achieve. Completing the goals that are important to us should never be more complicated than this.